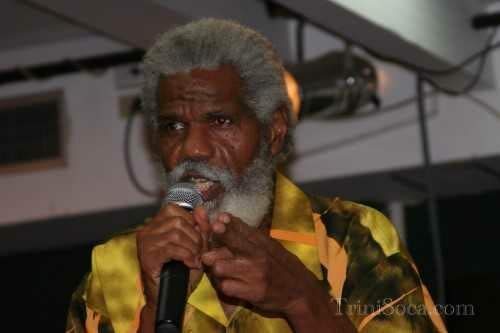 FRED MITCHELL, better known in the calypso world as Mighty Composer, died at around 4am today at his Barataria home after suffering with a heart condition for the past two months. He was 83. His son Kenlis Charles told Newsday his father spent the last three weeks at the Eric Williams Medical Sciences Complex in Mt Hope, but was discharged on Tuesday. In his final days, Charles said his father was his usual jovial self although he was in pain and had swollen feet. Composer was perhaps best known for his 1969 calypso classic Child Training – a song that had many an audience in stitches. Other songs of his included Supposin’, True or Lie, The Weak Man, The Vikings, Perseverance, Carnival Fever, Workers' Lament, Black Fallacy, Talent in the Waist, Too Fast and Leave Meh Man Alone. The Cedros-born singer became known to calypso lovers as the “uncrowned Calypso king” mainly because of the number of times he was named runner-up at the national monarch competition. Growing up, he was a member of the Singing Mitchells family group that sang chorus lines for Sparrow’s National Recording Company productions, before launching out on his own as a calypsonian at Sparrow’s Original Young Brigade tent in 1964. Composer went on to become a master of ceremonies, comedian, impresario and tent manager. And so entrenched was his work within the calypso movement that he founded the first Calypsonian's Association in TT along with a few of his peers. Later, he became a founding member of the Trinbago Unified Calypsonians Organisation, and served as an executive member for several years. Apart from singing calypso, Composer founded the Barataria Ball Players’ Organisation in 1972 and to this date, the club is represented at national football, cricket and basketball competitions. He was also known for his Red Indian portrayal during Carnival Monday and Tuesday traditional mas in San Fernando. Charles said his father played that mas up until he started ailing. However in his later years, Composer’s spirituality took on a new meaning thus becoming known as Agba Olu Sino Amono, some four years ago. Composer, together with the likes of Rudolph Eastman, the late Iyalorisa Molly Ahye and others, spearheaded a movement for the incorporation of the Shango Belief System by an Act of the Parliament, that laid the groundwork for the removal of obstacles and discriminatory practices that hindered the process of the tradition. Over the years too, Composer was at the forefront of Emancipation Support Committee’s emancipation celebrations, and also lent his talents to help raise the consciousness of people, especially during rallies celebrating African Liberation Day. Composer leaves to mourn his wife of 65 years, Cynthia Charles, daughter Juliet Mitchell and sons Kenlis and Ricky Charles, 14 grandchildren and three great grandchildren. Reply to "TT loses yet another kaisonian, Mighty Composer has died"